Systems-thinking, a holistic approach that puts the study of wholes before that of parts, is an effective means of dealing with real-world situations. Emphasizing the interrelationships between the system’s components rather than the components themselves, systems thinking allows us to increase our personal and professional effectiveness, and transform our organizations. Specifically, systems thinkers are able to conceptually analyze the system without knowing all the details, metaphorically recognizing the forest through the trees. They can see beyond the surface to the deeper patterns that are really responsible for creating behavior. 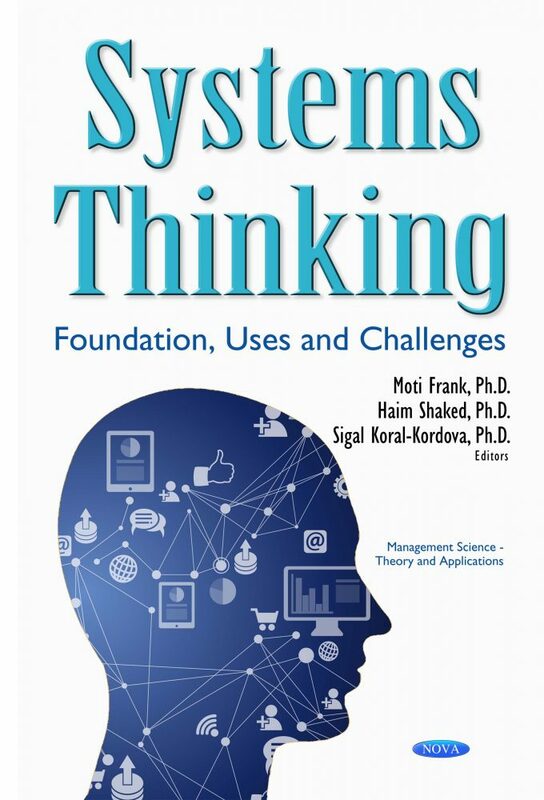 This book provides a wealth of knowledge about systems thinking, enables readers to deeply understand what systems thinking is, and why it is so important in their work. Readers will learn the conceptual foundations of systems thinking, as well as its tools and the proper ways to use them. These tools will facilitate defining problems and designing solutions in an environment increasingly characterized by chaos and complexity. Since systems thinking is not a discipline, but rather an interdisciplinary conceptual framework used in a wide range of areas, this book presents the applications of systems thinking in different domains, including systems engineering, project management, healthcare, psychology and education. Chapter 2. Do Systems Exist in the Real World? This book presents the applications of systems thinking in different domains, including systems engineering, project management, healthcare, psychology and education. The editors, who are experts in the field of systems thinking due to numerous studies they conducted on this subject, has skillfully created a multidimensional view on systems thinking, including theory and practice, research and application, in a wide variety of fields. Therefore, this book will be useful for researches and practitioners, suitable for beginners and specialists alike.